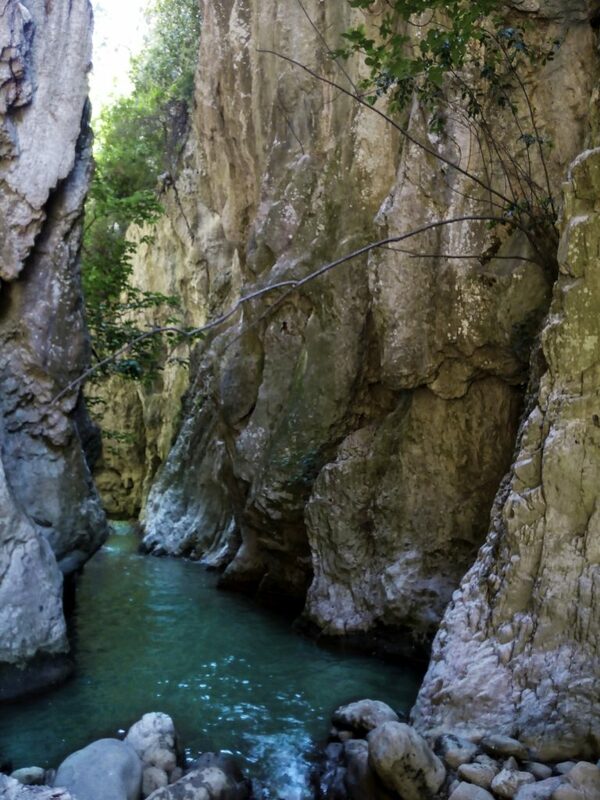 Patsos gorge is also known as Agios Antonios because of the little church in the cave near the entrance of the gorge. 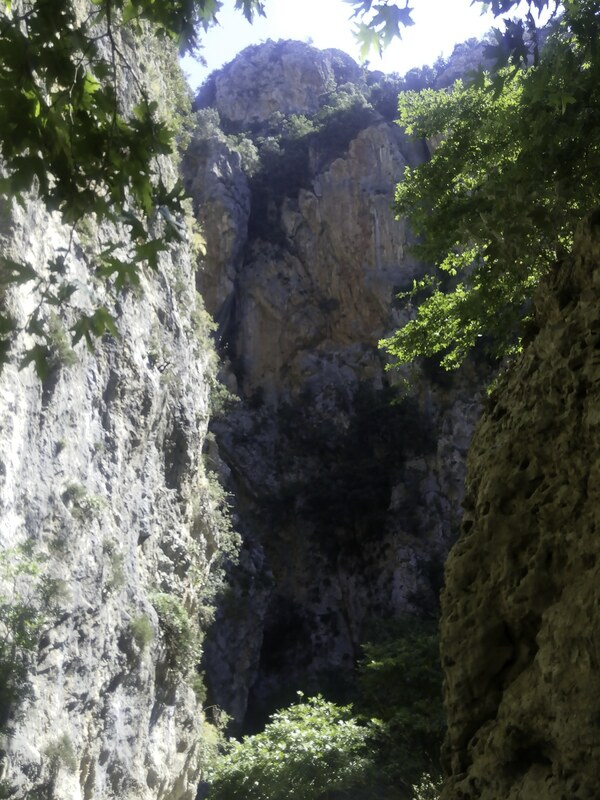 It is located 30km from the city of Rethymno at 490m altitude. 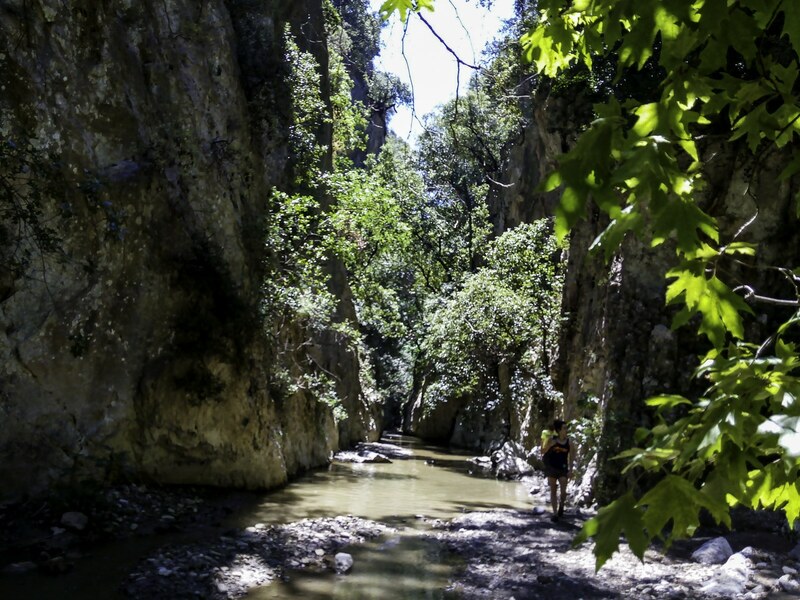 In the shadow of Samaria gorge which is also in Crete, Patsos is a smaller and less crowded choice. The whole route to the end and back is around 3 hours and there are points where you need to use some steady ropes and ladders. Nothing very difficult but you have to keep it in mind. 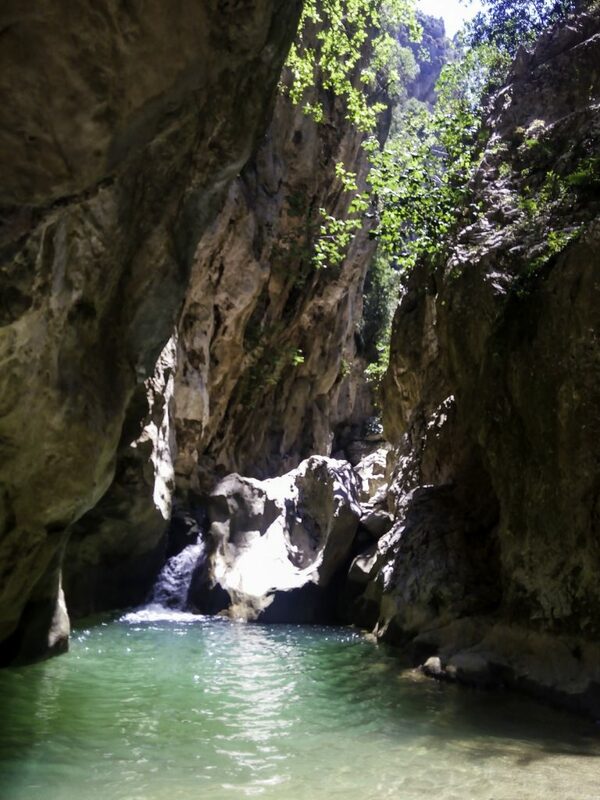 Another thing to keep in mind is that even in summer months some sections of the gorge may have water and since it’s narrow, there won’t be a way around it except taking your shoes off and walk across or even swim across since there was more than 1m of water when I was there last June. At the start there is a wooden bridge. You can either cross it and walk next to the stream. A more difficult root since there is some rock climbing as the gorge starts to lose altitude. Or you can take the trail that goes through the right wall of the gorge . In any way you will end up in the same spot and from there after you use some steady ropes climb down to a usually flooded part of the gorge. The gorge ends at the river dam where you can have a break , watch the view and prepare for the way back. On your way out you can sit at the restaurant which is just outside the entrance and try local delicacies like lamb “antikristo” , “gemista” and ofcourse lot’s of wine and raki. Quality is top and the prices good. Overall a very nice gorge which won’t use much of your time and has a little of everything (trekking , climbing , swimming), Patsos is a good choice.